Sería excelente que el mundo hablara solo un idioma (It would be great if the world spoke only one language). Unfortunately for us developers, that is not the case. While indie or niche games usually do not need localization, games targeting a more massive market often require localization. 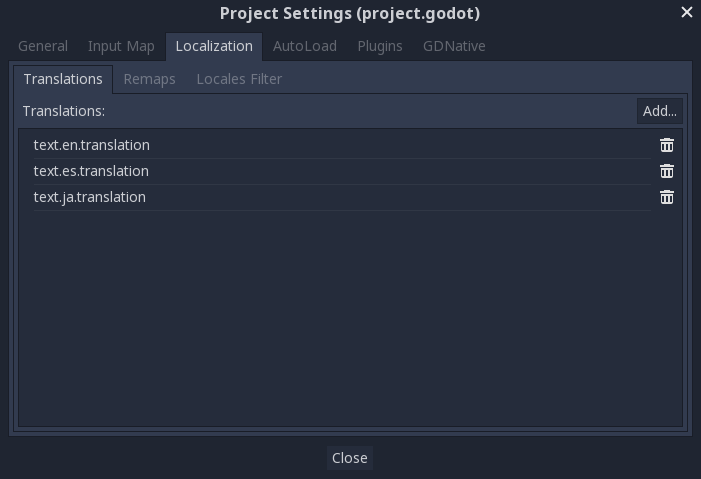 Godot offers many tools to make this process more straightforward, so this tutorial is more like a collection of tips and tricks. Localization is usually done by specific studios hired for the job and, despite the huge amount of software and file formats available for this, the most common way to do localization to this day is still with spreadsheets. 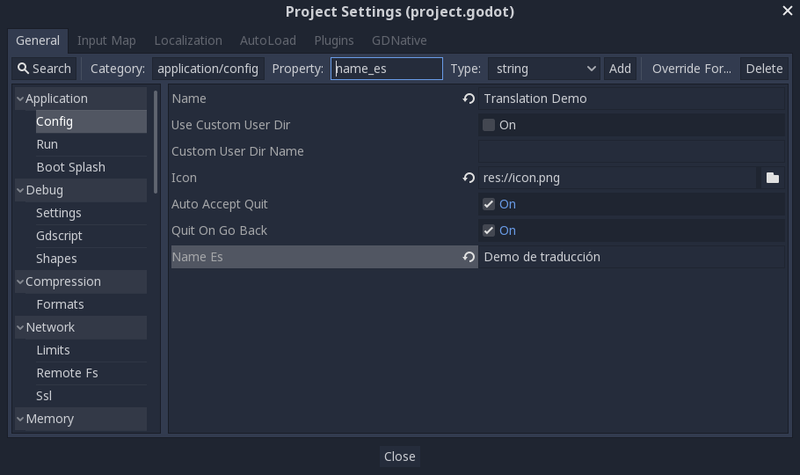 The process of creating the spreadsheets and importing them is already covered in the Importing translations tutorial, so this one could be seen more like a follow-up to that one. We will be using the official demo as an example; you can download it from the Asset Library. The above dialog is used to add or remove translations project-wide. Select the resource to be remapped, then add some alternatives for each locale. Some controls, such as Button and Label, will automatically fetch a translation if their text matches a translation key. For example, if a label’s text is “MAIN_SCREEN_GREETING1” and that key exists in the current translation, then the text will automatically be translated. The same text in different languages can vary greatly in length. For this, make sure to read the tutorial on Size and anchors, as dynamically adjusting control sizes may help. Container can be useful, as well as the text wrapping options available in Label. 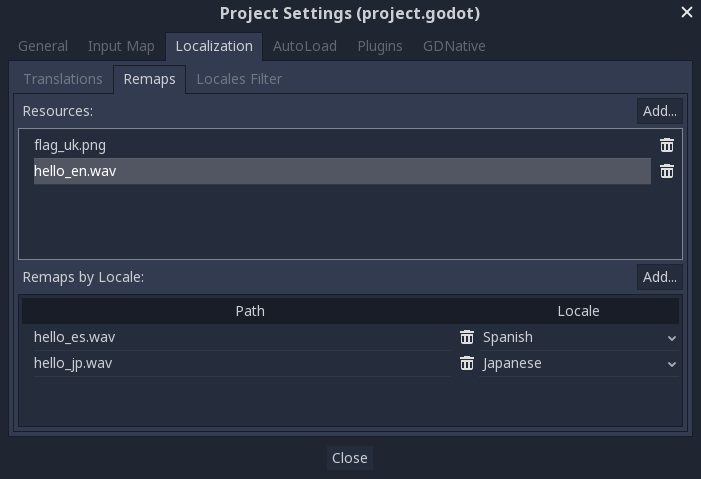 Godot has a server handling low-level translation management called the TranslationServer. Translations can be added or removed during run-time; the current language can also be changed at run-time. If you are unsure about the language code to use, refer to the list of locale codes.